Anyone who’s tried to lose weight is probably familiar with the tyranny of the scale. 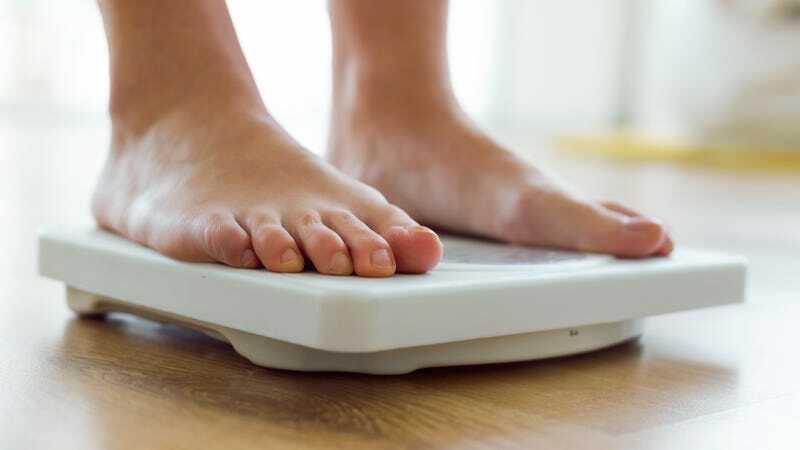 It can feel like a guessing game, trying to discern why after a day of working out and eating healthy, the scale says you’ve gained two pounds, while after a day of Netflix and popcorn, you’ve lost a pound. A new product called Shapa aims to break our numbers fixation with a scale that doesn’t display your weight at all. I came across Shapa in this Health magazine article written by an author who tried it out for several weeks. The crux of Shapa’s program—it also includes an app with sophisticated feedback—is its numbers-free scale that provides feedback via a color of light: blue means you’re on track with your weight-loss goals; dark gray means you’re not. The aim is to ignore the daily fluctuations that tip our weight a few pounds in each direction and pay attention to our longer-term trajectory. Shapa uses an algorithm that analyzes your last three weeks of data to tell you whether your weight is moving outside of its normal daily range (maybe a few pounds up or down). That’s why you’ll have to step on a scale for almost two weeks before it can assess your “baseline” and start glowing in its different colors. So why step on the “scale” at all, then? Because, according to Shapa, standing on a scale in the morning reminds you to commit yourself to healthier habits that day. (This is why, Shapa’s cofounder Dan Ariely says, stepping on a scale in the morning is behaviorally more important than stepping on one at night.) Supported by an app that offers reminders, motivations, and body analytics, Shapa’s color-changing scale promises it will help you make “sustainable changes to your lifestyle.” The device will set you back $99, plus you’ll have to sign up for a month-to-month ($9.99/month) or year-long ($7.95/month) app plan. Oh, that Health writer who tried it out? He was frustrated a bit by the lack of concrete feedback he was receiving; turns out, a lot of us do really want to know, numerically, how we’re doing. But ultimately, he found he was less “preoccupied” with what his scale said, and was able to concentrate more on his exercise routine. “As I focus more now on how I feel, the most noticeable result has been that I am able to work out harder and longer.” Regardless of what his scale ultimately said, that sounds like a positive step.